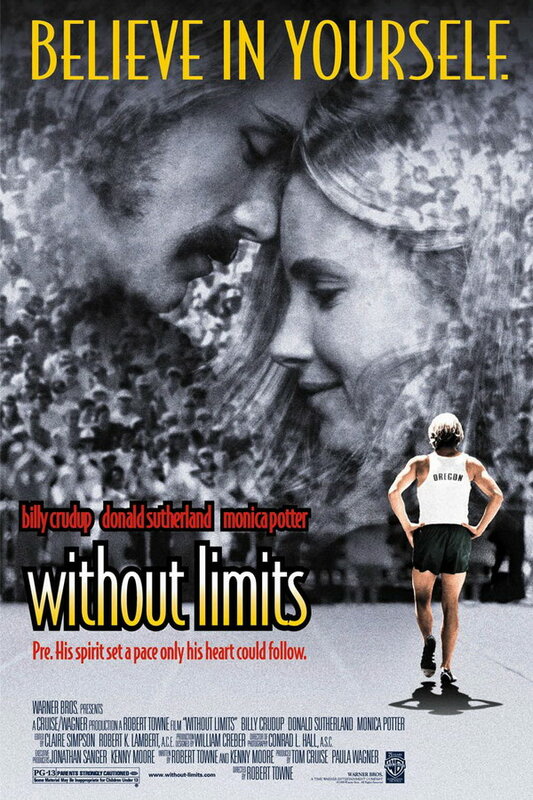 Without Limits font here refers to the font used in the poster of Without Limits, which is a 1998 biographical movie about the relationship between recording-breaking distance runner Steve Prefontaine and his coach Bill Bowerman, who later co-founded Nike. The font used for the movie title in the poster is probably Bodega Sans Light designed by Greg Thompson in 1990. The font is a commercial one and you can purchase and download the font here. In addition to Without Limits, Bodega Sans typeface is also used in the following logos, movie posters or album covers etc., including: Echoes of Nature, Superman Ride of Steel, Molson Canadian, Super Smash Bros., Pringles, WrestleMania, Cambria Suites, No Ordinary Family, Across the Hall, The Cat’s Meow, Summer Break Tour, Frank’s RedHot.